On February 21, Drayton Hall President and Executive Director Dr. George W. McDaniel will present “Towards a More Complete History: Connecting Places and People by Engaging Descendants” at the highly acclaimed Marion Thompson Wright (MTW) Lecture Series. The title of this year’s series is Curating Black America: Celebrating the National Museum of African American History and Culture and Remembering Dr. Clement Alexander Price. The 35th annual MTW lecture series will be presented from 9:30 a.m. to 3:00 p.m. at Rutgers University-Newark. Fellow speakers include Lonnie Bunch, inaugural director of the National Museum of African American History and Culture and former Drayton Hall Site Advisory Council member; Bob Stanton, former director of the National Park Service; Spencer Crew, former director of the National Museum of American History; and Taylor Branch, Pulitzer Prize-winning historian. McDaniel’s presentation examines how historic sites can make a difference in their communities. “Too often history seems to be taught as something far away, but with historic sites, history is present and personal,” McDaniel said. “By their very nature, history happened at historic sites, good and bad. That’s what makes them historic, so we must recognize our history in all its complexity and diversity, and use it to bring people from diverse backgrounds together and to learn from and share that history.” Historic sites are turning to descendants and engaging them in the documentation and preservation of their stories. In the past year, Drayton Hall has participated in two conference sessions that have brought descendants of the enslaved and of slaveholders together. The resulting combination of places and people, especially descendants, leads to a more complete history and to a more humane understanding of historic preservation. 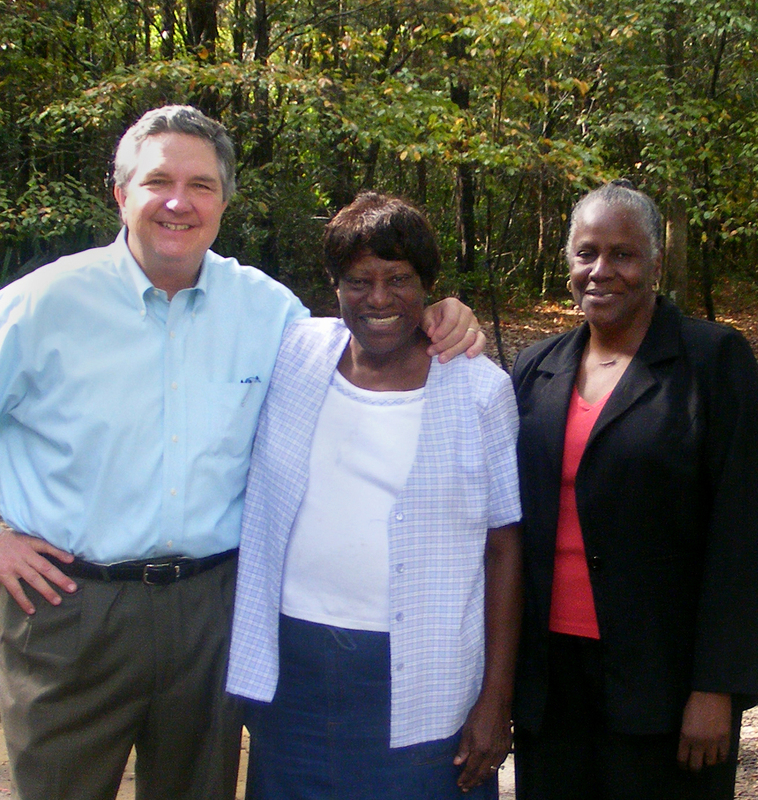 Pictured l-r: George McDaniel, Rebecca Campbell, and Catherine Braxton. McDaniel’s presentation will feature a Q&A session with Drayton Hall descendants Rebecca Campbell and Catherine Braxton (pictured above). Sisters Rebecca and Catherine started researching their family’s connection to Drayton Hall with the assistance of their cousin, Richmond Bowens (1908-1998), who grew up at Drayton Hall and later became a gatekeeper and historian-in-residence. According to their family’s oral history, their ancestors were brought from Barbados to the Carolina colony by the Draytons in the 1670s as enslaved people. Deeply committed to history and historic preservation, Rebecca and Catherine will be sharing their family’s history and offering their perspective on why history matters. The lecture series is dedicated in memory of Dr. Clement Price, the founder of the Institute on Ethnicity, Culture, and the Modern Experience who co-founded the MTW lecture series in 1981. Dr. Price was a Trustee of the National Trust for Historic Preservation and a Friend of Drayton Hall. “Clem was a remarkable man and leaves a legacy for us to live up to,” McDaniel said.